Here’s an entirely different publication with the clout to call itself “JAZZ”. This issue comes from the very month that Tine Magazine hailed Wynton Marsalis as one of the 25 most influential Americans. 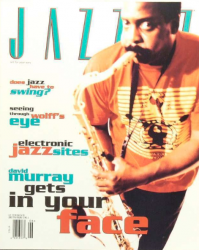 See how he faired in this Jazz periodical.